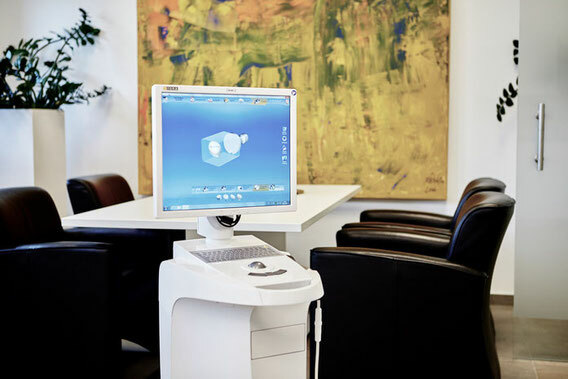 International Institute for Digital Dentistry is part of the dental centre in Cologne. All digital technologies for the education and training can be used on over 1000 square meters. Our new teaching rooms are equipped to the highest technical standard. Besides the digital X-ray technology, DVT and digital scanning, the one step technique of digital implant prosthetics in becoming ever more popular. Moreover, DVT and implant surgery are being combined to reach the highest possible safety standard for implant insertions. We have been training dentists and students in digital dentistry since 2014. Our aim is to offer praxis orientated course, so that the participants are immediately able to implement their knowledge into their daily surgical work. Dr. Michel and Dr. Uysal are practisers, lecturers and speakers for digital dentistry. They are pioneers in digital dentistry technologies. The many years of experience and close cooperation with manufacturers, allows them to refer to a comprehensive, practise orientated knowledge. This course gives students decisive advantages for later applications as assistants in a dental surgery. No practicing dentist can further ignore digital dentistry. The future will be dominated by precise and safer methods in areas such as implantology and prosthetics. Therefore it appears to be ever more important that dentists are now, and in future, kept on the newest technical standard through specific, praxis orientated training and development. Dr. Michel and Dr. Uysal are practisers, lecturers and speakers for digital dentistry. The many years of experience and close cooperation with manufacturers, allows them to refer to a comprehensive, practise orientated knowledge. Our courses are held in smallest possible groups to be able to maximise the practical knowhow. Candidate dentists as well as licensed dentists can attend our courses. Minimum requirement for the participation of the course is a certified graduation of the 3rd clinical semester (Prosthetics course 1).